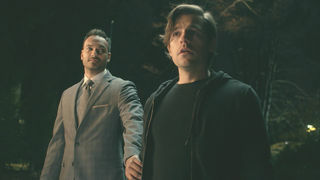 Some international scares are coming to the U.S. After airing from October to November last year on HBO Asia, the horror anthology series Folklore will be heading stateside to the original network’s streaming services on Feb 1. According to EW, the six hour-long episodes feature mythological tales from Indonesia, Japan, Korea, Malaysia, Singapore, and Thailand, all created by different storytellers to best get across their culture’s scariest superstitions. Whether that means tangling with the Indonesian matronly monster Wewe Gombel or the ghostly Pob in Thailand, horror fans should expect six hours of refreshingly diverse scares. The trailer highlights what happens when you try to bury a dead body on a construction site and just how terrifying a mother’s love can be. Many of the episodes screened at film festivals around the world, assembled into the series thanks to their genre connection and abiding love of local ghost stories. Get ready to cover your eyes (or shut your laptop) when Folklore hits whatever service you use to stream HBO on Feb. 1.